On 30 January, NIMD held a networking event for Dutch Ambassadors from around the world. The event, organized with the support of the Netherlands Ministry of Foreign Affairs, provided an excellent opportunity for NIMD to build on our connections with Dutch Ambassadors from our programme countries but also learn more about the work of the Ministry around the world. 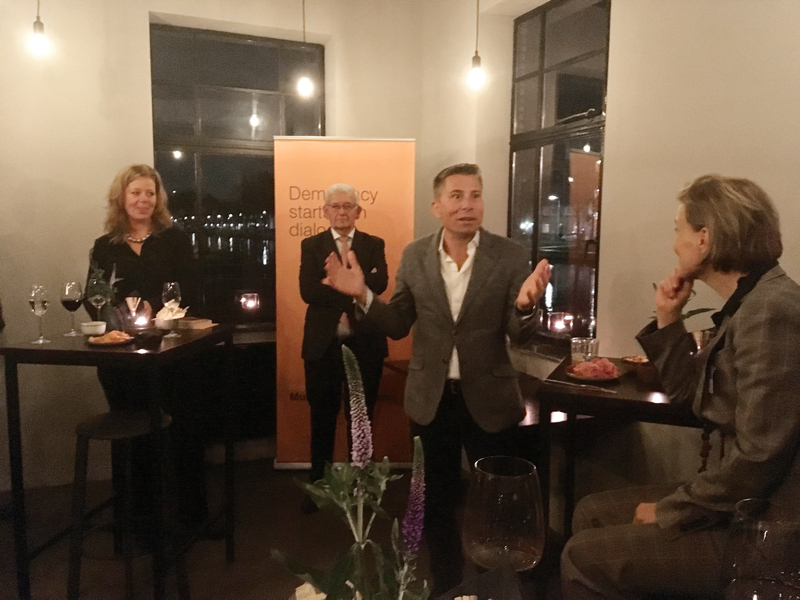 After a welcoming speech by Eimert van Middelkoop, Chair of NIMD’s Supervisory Council and former Minister of Defense, the participants were invited to reflect on the main theme of the evening: power and politics in the age of populism. The discussion revolved around how diplomats and democracy assistance organizations, including NIMD, can adapt to recent changes in the political landscape. The discussion kicked off with an opening speech by Tom Fletcher CMG. He was able to use his vast experience as a former foreign policy adviser and UK Ambassador to Lebanon to provide new insights, which led to an insightful and broad-ranging discussion. NIMD and the Ambassadors questioned a number of assumptions in our fields, but also dug deeper into the consequences of trends including digital technology, populism and a lack of trust in political institutions.